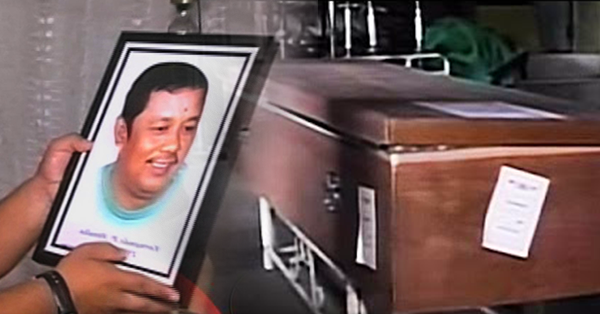 MUST WATCH: Wrong Corpse Of An OFW From Israel Was Sent To The Family! The family of an OFWs (Overseas Filipino Workers), Fernando Peralta from Porac Pampanga, was crying for help to bring home the corpse of their loved one as the government of Israel sent them a wrong corpse. According to the brother of the deceased OFW, his brother works as a caregiver in Israel and died of a heart attack. When he opened the coffin he noticed that it was a different face and they confirmed that the corpse is not his brother's body when they brought it to the funeral. Watch the video below to see the full report. The family of the said OFW was seeking help from the government and concerned agencies.